August 2018 marks the 50th anniversary of the restoration of the permanent diaconate in the church. In the issue of March 22, 2004, the Rev. Joseph DeGrocco, who at the time was director of liturgical formation at the Seminary of the Immaculate Conception in Huntington, N.Y., and taught homiletics in the permanent dicaonate program in the Diocese of Rockville Centre, wrote that “even with all that has transpired in the intervening years, there is still much misinformation and confusion concerning this ordained ministry.” Today much attention is focused on the Vatican commission created to study the possibility of ordaining women deacons. For more on the demographics of the modern diaconate, see the infographic in the issue of Aug. 6, 2018. What are the qualities of a good deacon? While the following list is not exhaustive and not in any particular order of importance, I think these aspects represent a bare minimum. An understanding of being called by God and a desire to pursue holiness. A man pursuing the diaconate must see his desire to serve as a true vocation. Essential to that calling is a commitment to the person and mission of Jesus Christ, a commitment that includes a willingness and ability to live such Gospel values as simplicity of life, compassion and forgiveness, humility and obedience. Inherent in this call to holiness is the mature understanding of his own identity as a disciple and as a deacon, not as a “mini-priest.” As such, it is obvious that the permanent diaconate is not something just for retired men. It is a calling to service and to ministry that is appropriate for a man of any age. Nor is the permanent diaconate just something that represents a “next step” for a man who has long been involved in parish life and is looking for the next thing to do. Rather, it is a gift to the church that has its own charism and brings its own contribution to the life of the church. Willingness to be a man of the church. Deacons have a special relationship to the bishop. Their service to the church is through their relationship to the bishop and their obedience to him, promised at ordination. Since most permanent deacons serve in their home parish, some Catholics assume that they are ordained for their parish and are linked to their pastor, but this is not true. In my own diocese, Rockville Centre, for example, it is commonly understood that permanent deacons will not automatically serve in their home parish. Instead, they are assigned by the bishop according to the needs of the diocese, in order to allow them to function where they are most needed. Willingness to be intimately involved with the needs of the sick, the poor and the needy. Given their call to sacramentalize the church’s mission of service, deacons must be in the midst of the community, serving the needs of the poor, the forgotten and the neglected. The traditional scriptural foundation for the church’s diakonia is found in Chapter 6 of the Acts of the Apostles, in which seven men of good repute are prayed over and have hands laid on them in order to minister to the Greek-speaking widows neglected in the daily distribution of food. Service at the table of the poor precedes, and in a sense is a prerequisite for, service at the altar. Without such service, the diaconate becomes an empty clerical rank within the church hierarchy. The deacon is in a unique position to build up the body of Christ and promote the gifts and ministries of all the baptized. The ability to be a “man of community,” calling forth the gifts of all the baptized. As one who has a foot in both worlds, the world of the laity and the clerical world, the deacon is in a unique position to build up the body of Christ and promote the gifts and ministries of all the baptized. The deacon must be especially aware of both the individualism and anti-institutional bias rampant today: he must be one who gives witness to the necessity of communion and our responsibility to one another in the body of Christ. The personal integrity to balance family, work and service to the church. As an ordained minister, the deacon has the responsibility to give public witness in the name of the church by following Christ in all areas of his life—his marriage, his family, his secular occupation and his style of life. This is a daunting task. The homily in the rite of ordination says it well: “Like those once chosen by the Apostles for the ministry of charity, you should be men of good reputation, filled with wisdom and the Holy Spirit. Firmly rooted and grounded in faith, you are to show yourselves chaste and beyond reproach before God and man, as is proper for the ministers of Christ and the stewards of God’s mysteries” (No. 199). The ability to be a man of the word. Although his ministry is supposed to be much broader than just the liturgical ministry of functioning at Mass, the fact is that most people come into contact with deacons in precisely this role, as ministers of the word at Mass. It is the deacon who is charged with proclaiming the Gospel during the celebration of the Eucharist. But as with his service at the table of the altar, this ministry at the table of the word should stem from his being a man of the word in every aspect of his life. In the ordination rite, the ordaining bishop places the book of the Gospels in the hands of the newly ordained deacon and says, “Receive the Gospel of Christ, whose herald you have become. Believe what you read, teach what you believe, and practice what you teach.” A deacon is also empowered to preach at Mass. Thus, as a minister of God’s word, the deacon must allow the power of Scripture to pervade every aspect of his life. He must constantly be meditating on the word and applying it to his life so that by both preaching and example he shows how the word of God can be active in the hearts and minds of all who follow Christ. Seeing the order of deacons as a separate and distinct order lies at the heart of understanding this ordained ministry. 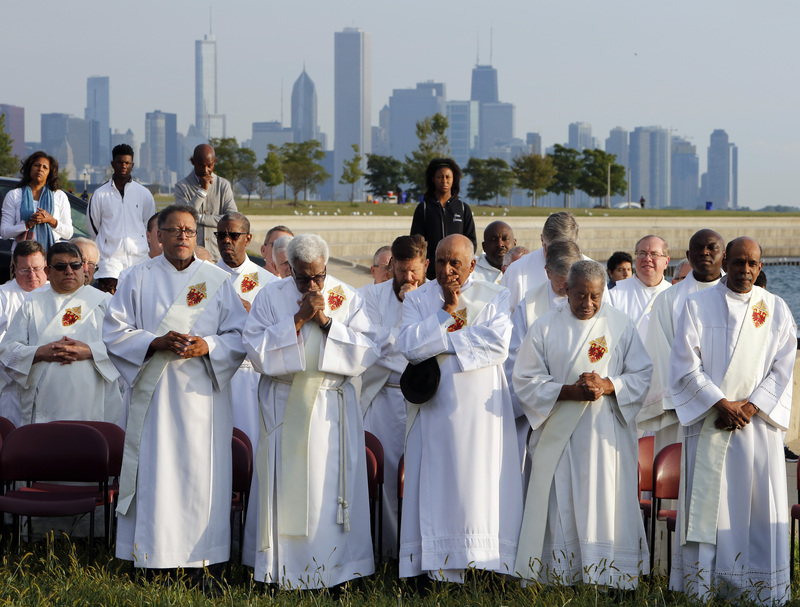 There should be no desire, then, to ordain permanent deacons as priests as an answer to the priest shortage, since this would make the diaconate nothing more than a stepping-stone or a mini-priesthood. The church is ill served when all three levels of holy orders—bishop, priest and deacon—are not fully evident in the community. Jesus Christ is most fully sacramentalized in the church’s ministry to the world only when the order of diakonia is fully understood, recognized and appreciated as a stable, permanent order of its own. None of the qualities listed is exclusive to men. We need to be ordaining women to the diaconate as well. A good campaign is run for the success of the youngsters. The role of the experts of assignment writnig australia has been expounded for the further effective use of the norms for the people. This article also appeared in print, under the headline "The Good Deacon," in the August 20, 2018 issue. The Rev. Joseph DeGrocco is a priest of the Diocese of Rockville Centre, N.Y.